All 2365 online practices in one value package. One month minimum, cancel any time. The only 2365 Online Exam Practice available. 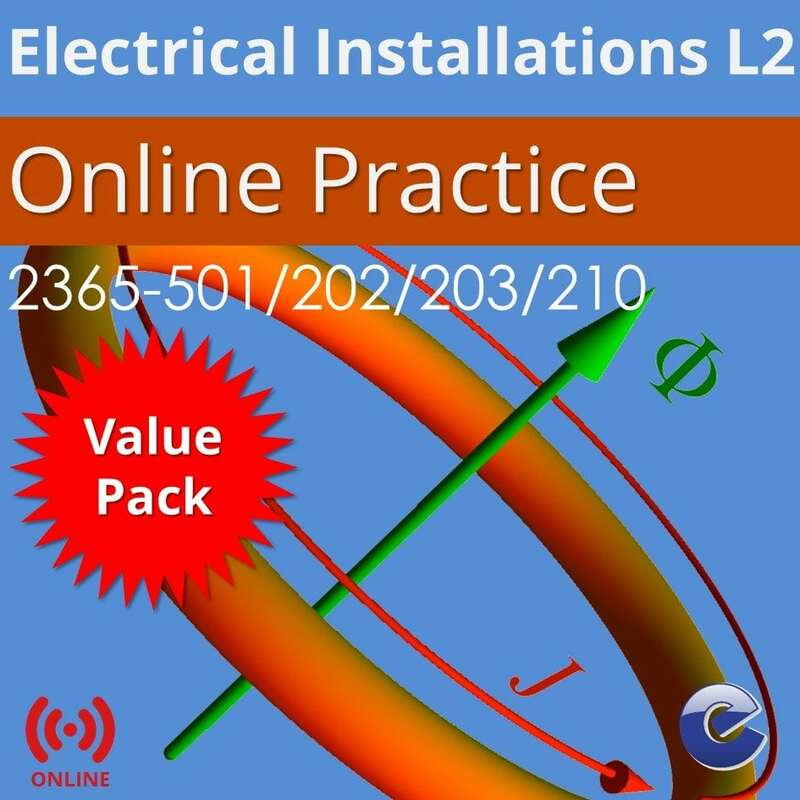 This Online Practice cover all the online multiple choice exam requirements for Electrical Installations 2365 Level 2 Units 501, 202, 203 and 210. With questions commissioned from experienced tutors who are teaching electrical installations classes, these exam simulators give candidates the best preparation for the City & Guilds 2365 Level 2 Multiple Choice exams. Online only. The new 2365 Level 2 Diploma in Electrical Installations is offered by colleges as a route for students to work towards qualifications as electricians in the building services engineering sector. The qualification allows candidates to learn, develop and practise the skills required for employment and/or career progression in the electrotechnology sector.